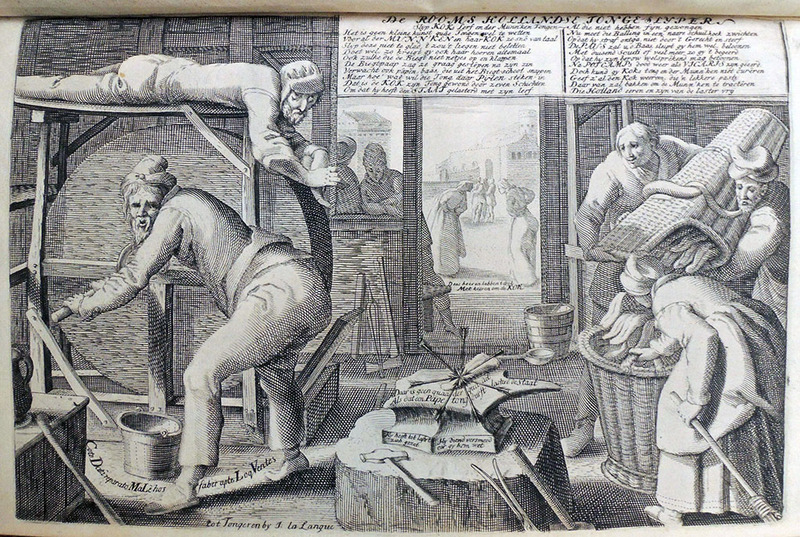 If you are a Friend of the Princeton University Library, you should be patting yourself on the back for your connoisseurship and good judgement in providing the funds for the purchase of this amazing new volume of satirical engravings. Congratulations. 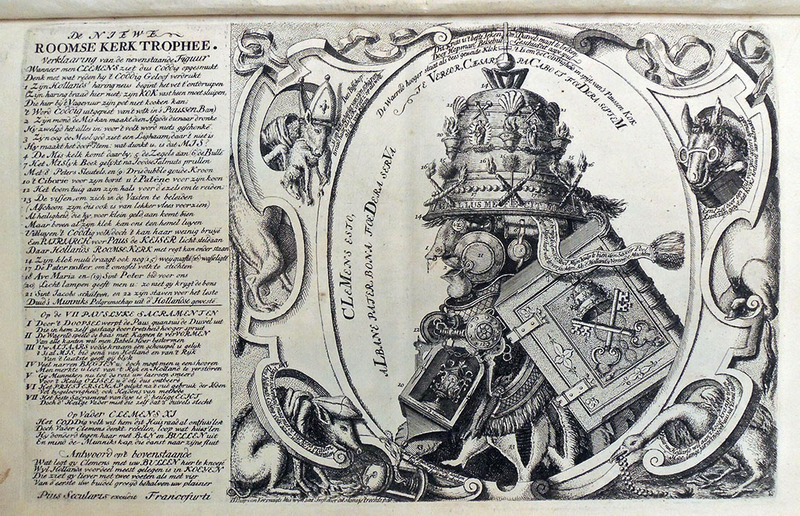 Thanks to the generosity of the Friends, the Graphic Arts Collection has acquired a rare set of Dutch satirical engravings under the title (in English): Rome Perturbed or the Catholic Church in an uproar, presented in ten emblems showing how the papacy, but especially the monks, trespass against the Ten commandments… The volume holds eleven engravings with accompanying verses in Dutch. 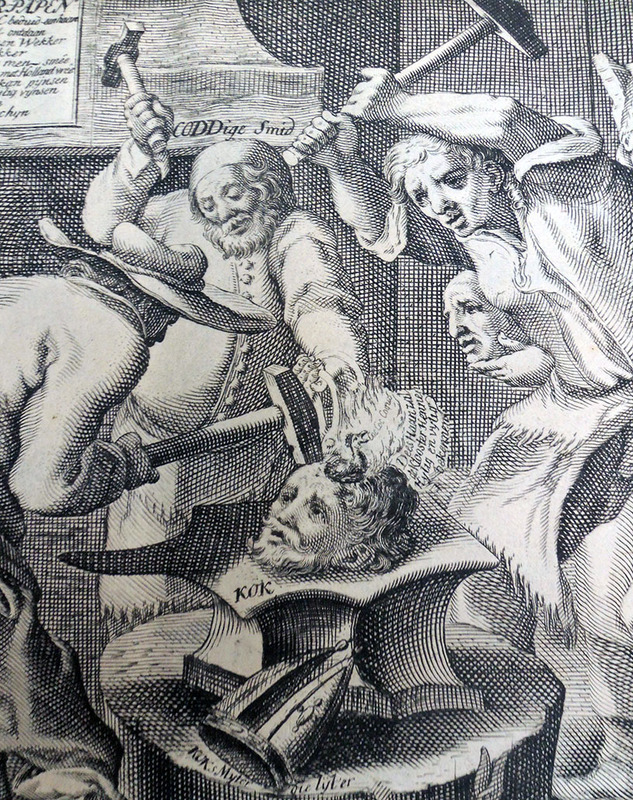 The imprint is false, ascribed tentatively to the publisher Carel Allard, Amsterdam. 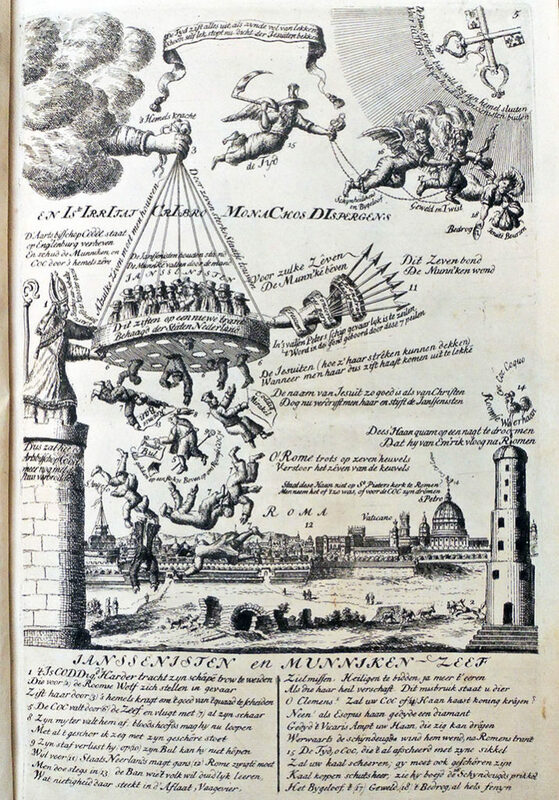 The author is identified on the title page by initials only “L.V.J.” for Liefhebber van Jansenius (an anonymous friend of Jansenius). 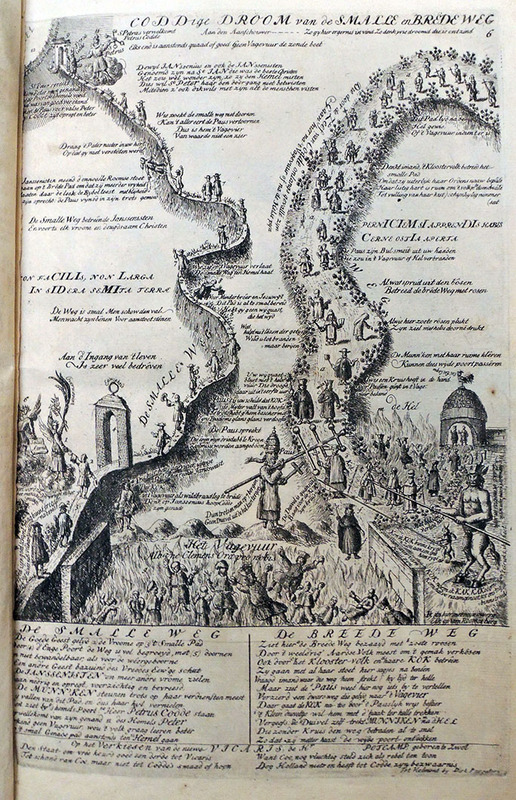 In his study Graphic Satire and Religious Change: The Dutch Republic, 1676-1707, Joke Spaans notes that Roma Perturbata was part of a media offensive against the Catholic Church, culminating in the schism between the Curia and the Dutch diocese in 1723. Apparently the book became something of a bestseller although copies are now extremely rare. 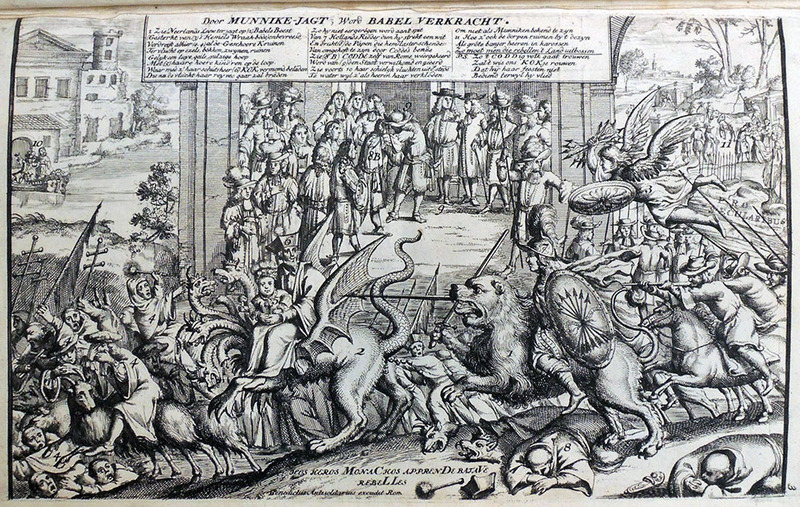 This group of elaborate satirical prints focuses on Clement XI’s response to Jansenism in the Netherlands, with particular attention to Pieter Codde and his replacement Theodore de Coc. These ‘editions’ are not the fixed entities suggested by this term: the individual plates exist in several versions and the extant copies of the series show some variation in composition. This means that individual plates circulated independently before the series was conceived. The Allard firm collected these prints, altered them as and where they saw fit, and fleshed out the collection with other suitable material they had at hand. They added a title page, on the reverse side of which they printed ten four-line stanzas that provide the reader with what amounts to a reasoned table of contents. 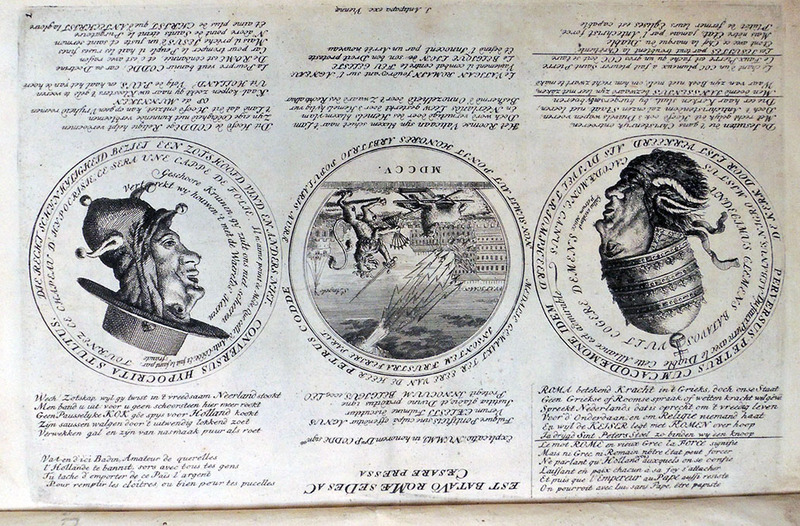 This rhymed table interprets each of the emblems in turn within the wider context of the justification of Codde, the praise of the States of Holland for their support of the Clergy, and the vilification of DeCock, the Jesuits and the Pope and loosely connects them with the Ten Commandments, as referred to in the title of the series. 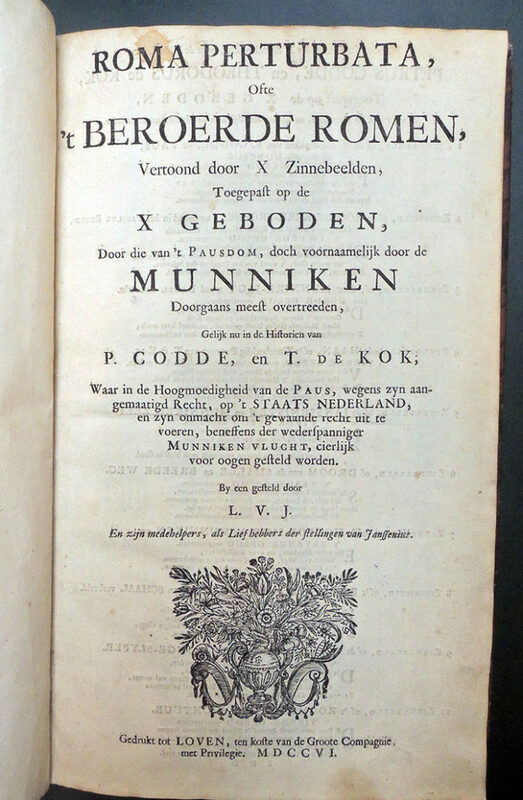 Roma perturbata, ofte ‘t Beroerde Romen, vertoond door x zinnebeelden, toegepast op de x Geboden, door die van ‘t Pausdom … doorgaans meest overtreeden, gelijk nu in de historien van P. Codde, en T. de Kok; waar in de hoogmoedigheid van de Paus … en zyn onmacht om ‘t gewaande recht uit te voeren … voor oogen gesteld worden. By een gesteld door L.V.J. en zijn medehelpers, etc. (Loven [Amsterdam? ]: gedrukt ten koste van de Groote Compagnie [Carel Allard? 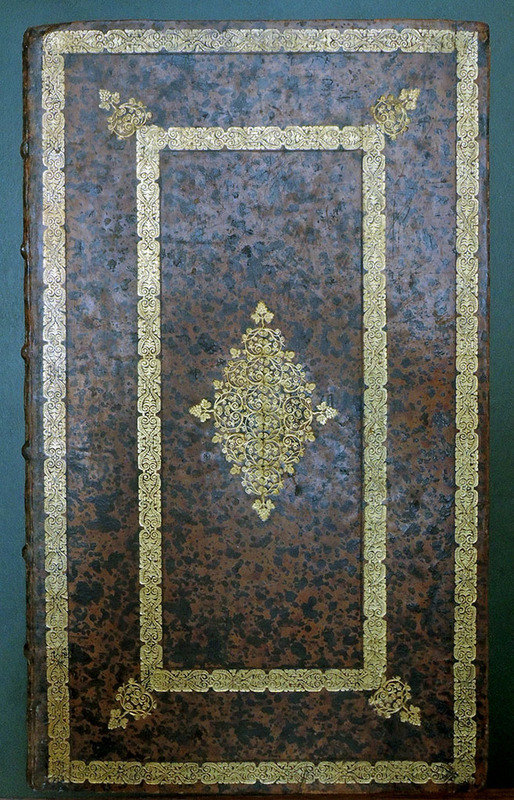 ], 1706). Given the rarity and uniqueness of each copy, the potential for new research is enormous. 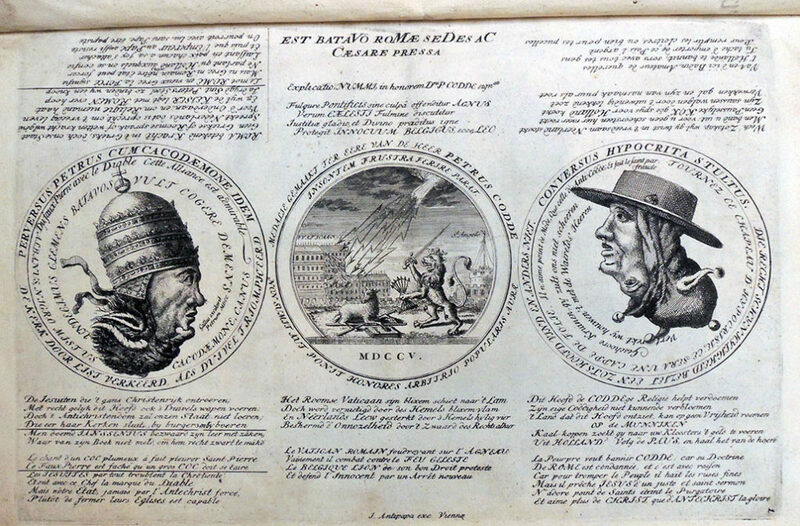 OCLC lists only six complete paper copies of the 1706 Roma Perturbata in public collections and none in North America. With current online records and limited published research, it is impossible to know which copies differ and to what extent. Since many of these prints are altered from the original, if in fact an original is known, the study of each impression is not only valuable but essential. 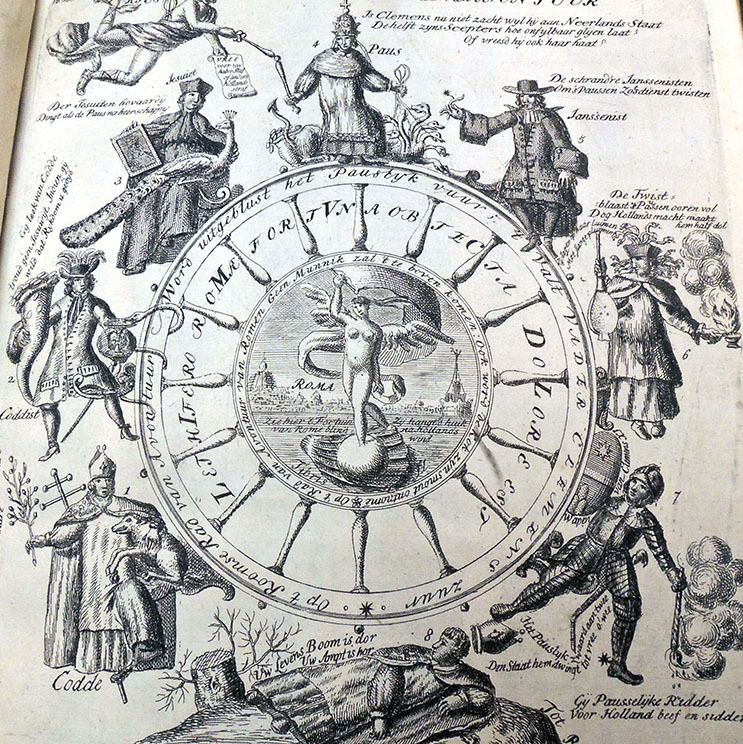 However, these titles vary from the collection catalogue of the British Museum, which also gives lengthy visual descriptions of each plate, suggesting earlier versions and or variations on each theme. 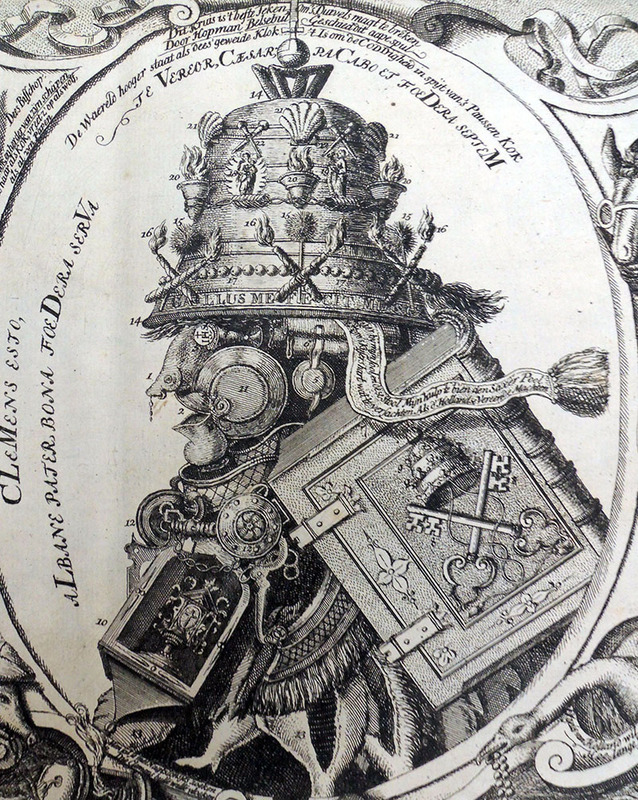 Until a compendium of all the extent copies can be attempted, each rare copy of Roma Perturbata in a public collection adds to the scholarship not only of the individual engravings but also to the publication history of the set. This entry was posted in Acquisitions, Illustrated books, prints and drawings on November 15, 2018 by Julie Mellby.